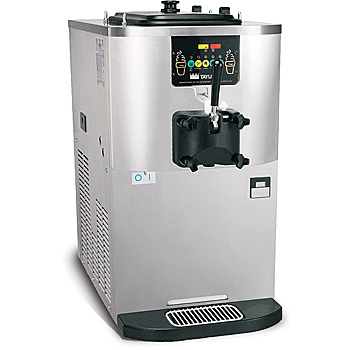 Create favorites like cones and sundaes, hand-spun shakes and whirl-ins, cakes and signature frozen novelties from a single flavor soft serve machine. 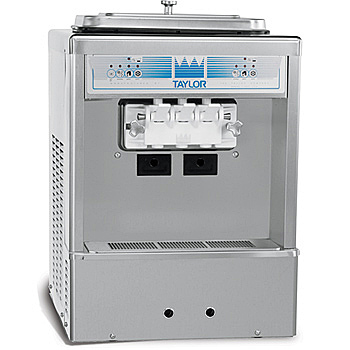 Available in a variety of styles and options, including a gravity or pump mix delivery system, countertop or free standing floor model, there’s a Taylor® single flavor soft serve freezer to fit your operation. 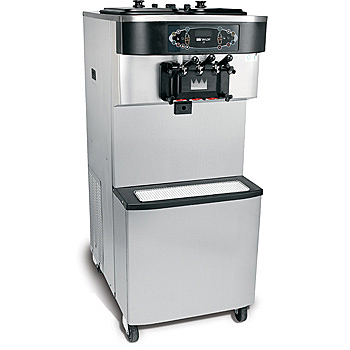 With a wide selection of mix variations, you can serve ice cream, frozen custard, sorbet, or frozen yogurt to please all of your customers’ tastes. 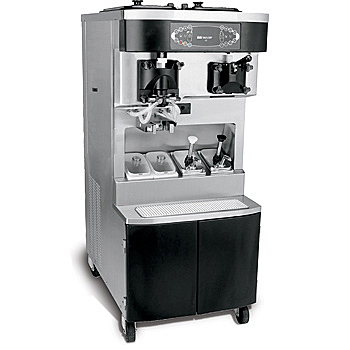 With easy-to-use operation, Taylor foodservice equipment delivers consistent quality products draw after draw. Your local authorized Taylor distributor can assist you with planning and customizing options to best suit your foodservice operational goals. 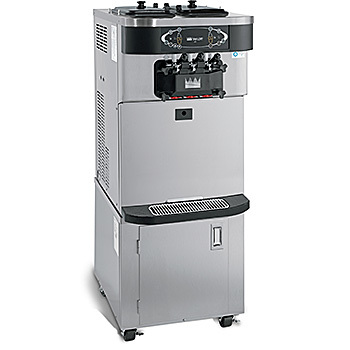 Offer any variation of soft serve products like ice cream, frozen custard, sorbet or frozen yogurt and thick creamy shakes from a single combination freezer. 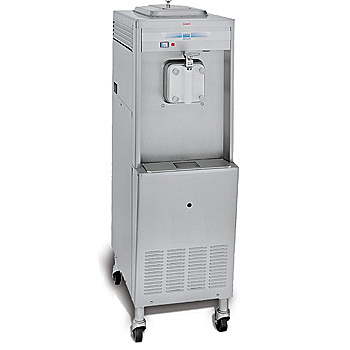 What’s more, dual freezing cylinders allow you to serve soft serve and shakes from a single freezer. Taylor® combination freezers help to reduce labor costs and make the most out of valuable space, all while serving up the versatile treats to satisfy customers’ desires for healthy and indulgent choices. With easy-to-use operation, Taylor foodservice equipment delivers consistent quality products draw after draw. Your local authorized Taylor distributor can assist you with planning and customizing options to best suit your foodservice operational goals. Heat treatment freezers are designed to eliminate time-consuming daily freezer maintenance. 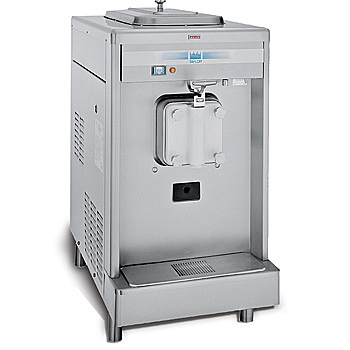 At the same time they ensure that the soft serve or shake product you’re serving maintain food safety standards. The state-of-the-art heat treatment system works through an overnight, timed heating and cooling program that safely maintains product for two weeks before complete disassembly and cleaning are required – reducing labor costs and product waste. 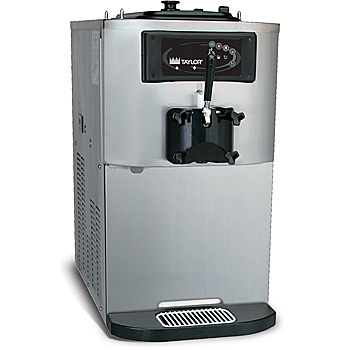 Available in a variety of styles and options, including gravity or pump mix delivery system, countertop or free standing floor models, or single or multiple flavor and product options. 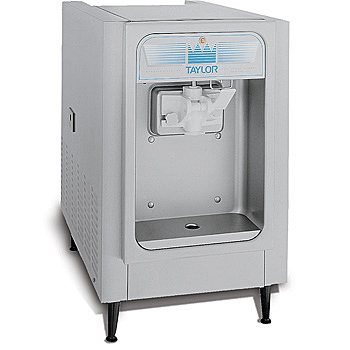 There’s a Taylor® freezer that’s just right for your operation. With easy-to-use operation, Taylor foodservice equipment delivers consistent quality products draw after draw. Your local authorized Taylor distributor can assist you with planning and customizing options to best suit your foodservice operational goals.